Read on to discover seven favorite venues that Long Island wedding photographers love to visit. From beaches to vineyards to historic mansions, there are so many beautiful Long Island wedding venues to choose from. It can feel almost impossible to narrow down your choices. Don’t worry — we’ve got some advice to help you get started! 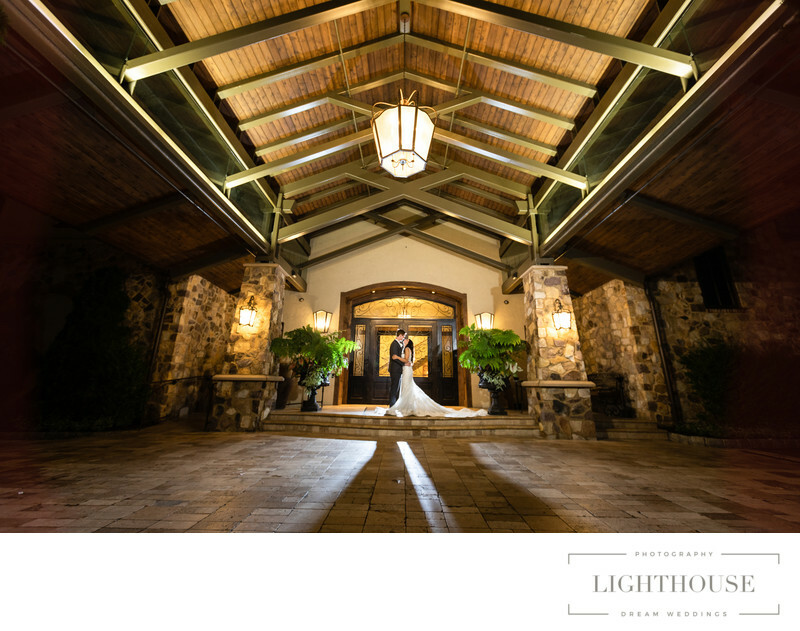 As local wedding photographers, we’ve been lucky enough to visit dozens of Long Island wedding venue. And while it’s honestly hard to find a bad one, there are a few that stand out every time we visit — and some of them are true hidden treasures! Read on to learn more about seven beautiful, wedding photographer-approved venues from all across Long Island. In Stony Brook, a village on Long Island’s North Shore, you’ll find The Three Village Inn. This spot has quite the history: the original structure was built in the 1751, and it has been added to and updated since, while still maintaining all its original charm. 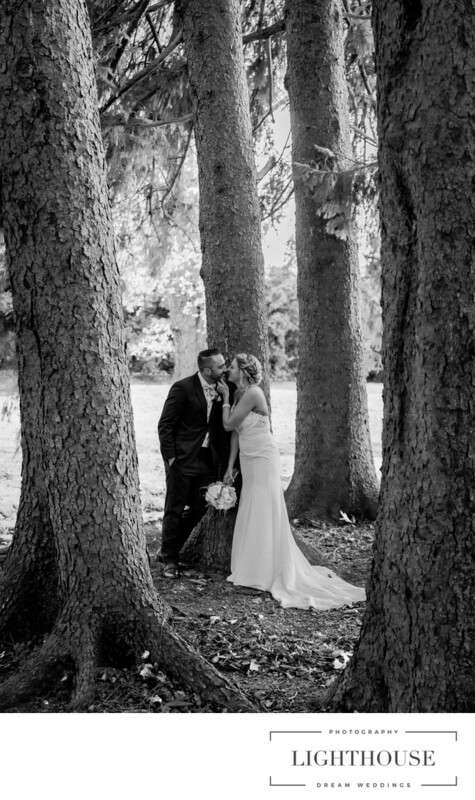 Between the personal, intimate vibe of the Inn, and the old-world feel of Stony Brook itself — perfect for an afternoon stroll to capture some harborfront photos — this is one of our favorite, little-known wedding spots. 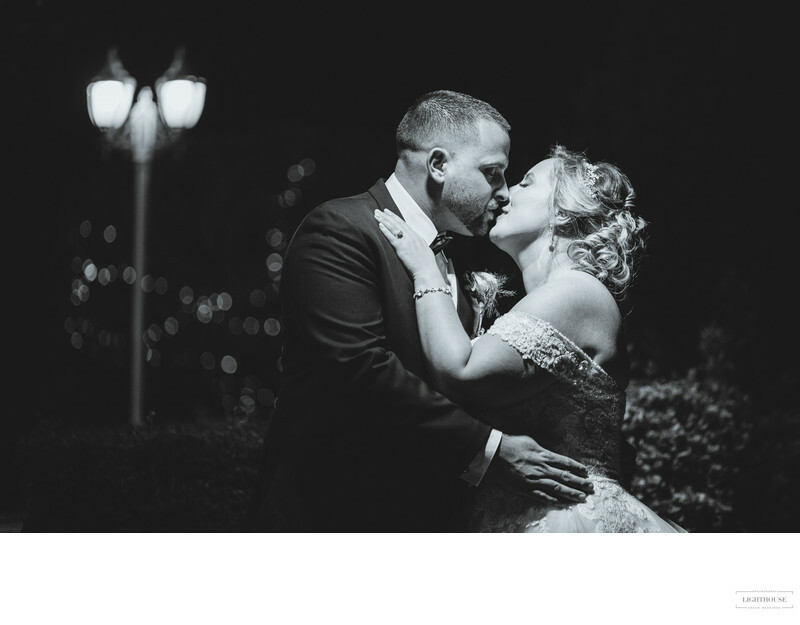 If you’re looking for a classic Long Island wedding venue, we highly recommend the Crest Hollow Country Club in Woodbury. The space can accommodate up to 400 guests, but we’ve also seen it beautifully set up for small, intimate ceremonies of just close friends and family. Either is beautiful. Also beautiful? The work that Crest Hollow puts into their landscaping. There’s a flagstone terrace, a pool surrounded by fire pits, long brick walkways bordered by flowers, formal gardens around a gazebo… even a waterfall! Taking photos here feels like visiting an old country estate: a perfect Long Island wedding venue. Sand Castle, in Franklin Square, always makes us feel like we’ve wandered onto the ground of a European castle, or maybe into the greenhouses of a botanical garden. From the wide sweep of the grand foyer to the gazebo-topped terrace to the mounds of flowers, every inch of this Long Island wedding venue is 100% photogenic. And that’s true in every season. 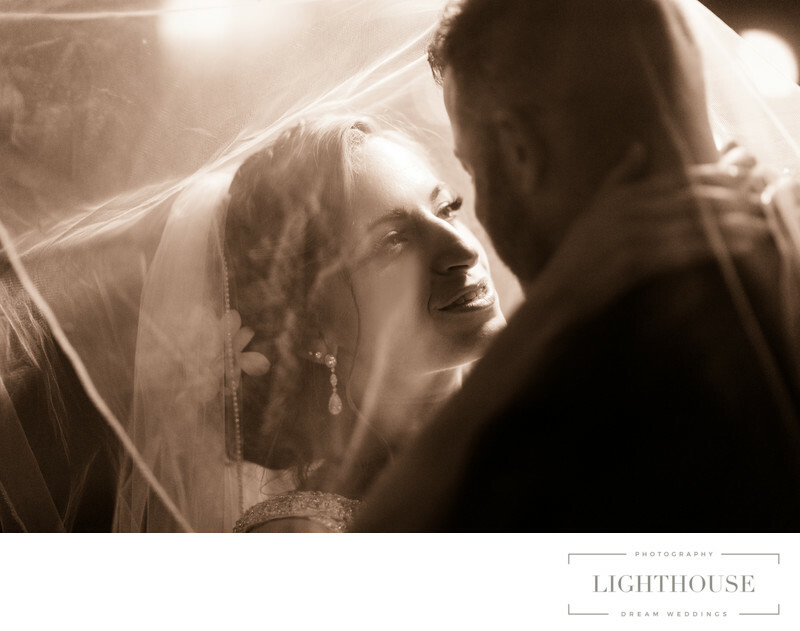 One of our favorite parts of Sand Castle is the beautiful atrium, a class-enclosed space that is heated in the cooler months, cool in the summer months, and a perfect spot for saying your vows while enjoying views of the lush grounds. This is one spot that definitely makes it into our list of favorites! For a wedding that’s a little bit quirky, a little bit DIY, and incredibly personal, we love seeing couples tie the knot at Hallockville Museum Farm. Set on more than 500 acres in the middle of Long Island’s North Fork wine country, and covering 250 years of history, it’s the perfect place for an outdoor wedding. There’s also inside space at the Nargles Barn, which was built in 1937 and can accommodate up to 150 people. For a couple that loves a rustic, casual party, we can’t recommend this spot enough. If you want the glamour of a private estate wedding, Flowerfield, hidden on the North Shore of Long Island, comes with our enthusiastic endorsement. This is the spot for a couple that wants to go big with their wedding day, and it comes with plenty of options to choose from. There’s the Grand Ballroom, which can host up to 400 people. Or you might pick the Atrium, a greenhouse-like space filled with blooming plants and a bridge over a real koi pond, for a reception of up to 250 people. Personally we love Gazebo Island, where you can say your vows on an island in the middle of a beautiful pond. Whichever spot you choose, you’ll end the day with beautiful memories — and beautiful pictures! You’ll find East Wind on the North Fork of Long Island, a short drive away from Wildwood State Park. This beautiful, versatile wedding venue has three spots to choose from to create your perfect Long Island wedding. Intimate gatherings can be held at the Cottage, a 100-person venue surrounded by gardens, fountains, and a picture-perfect rustic gazebo. If you want something a little bigger, book the luxurious Estate. You can have either an indoor or outdoor ceremony here, and the glass-walled cocktail space will let your guests enjoy the beautiful grounds no matter the season or weather. And then there’s the Inn, which feels like you’ve stumbled on an old English country house, complete with formal gardens and elegant chandeliers. No matter which East Wind venue you choose, you’ll be able to host the beautiful wedding of your dreams. We’ve loved every minute we’ve spent here, and every photo we’ve taken! A private estate hidden in Suffolk County, Watermill Caterers is a modern venue that feels like it has been around since Long Island’s Jazz Age. There are sweeping terraces. Formal gardens with piles of tumbling flowers. Fairy lights in the snow. Hidden garden nooks for private portraits and romantic kisses. The elegant outdoor chapel, perfect either for your wedding ceremony or photos of your wedding party. The Grand Ballroom, a banquet space for up to 300 guests. No matter where you go here, you’ll feel like you’ve found your way to one of Long Island’s classic Gold Coast mansions. Location: 199 Mills Pond Rd, St James, NY 11780.